Founded by music fan Thomas Mathie aka Headphonaught as a means of giving back to the independent music community...... weareallghosts is a small netlabel & private press based in Motherwell, Scotland; that specialises in ambient electronic soundscapes but is open to other styles of music. 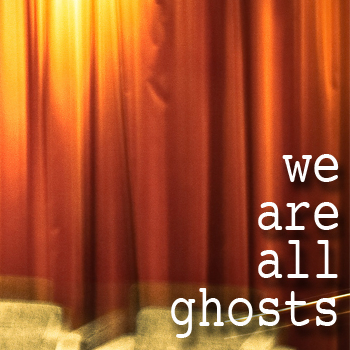 We are not associated with the band "We Are All Ghosts" nor are we connected with the Ghosts Collective or their tumblr. ...although it is a cracker of a quote. The inspiration for the name came from the song "plough the tide" by Mender and I am grateful to Ash for such a great song. Just wanted to give you a shout-out from here in the United States. I've recently come across waag, have enjoyed it immensely, and wanted to let you know that. I hope you will pass the word on to all of the artists. Do any of them maintain any kind of site on cyberspace? Anyway, thanks for your site and for posting all the great music! It is much appreciated.